Following are news items previously covered on the main page of The Abrasives Mall. The latest additions are added to the top. New competitive prices for Deburring and Edge Finishing Handbook and Hand Deburring textbooks. The best sources on deburring published! Rex Cut offers cut-off wheels with thin profile to cut stainless steel. See Rex Cut Products press releases. The Abrasives Industry in Europe and North America: A Market/Technology Report published in January 2007. Brochure, table of contents and more at New Website . New subject listings for Superabrasives and Abrasive Powders. Recent News Releases from Mall subscribers. Details available in issue of Abrasive User's News Fax Ask for a copy. 1st Conference on Grinding - English edition. Book highlighting European research and state-of-the-art grinding technologies. 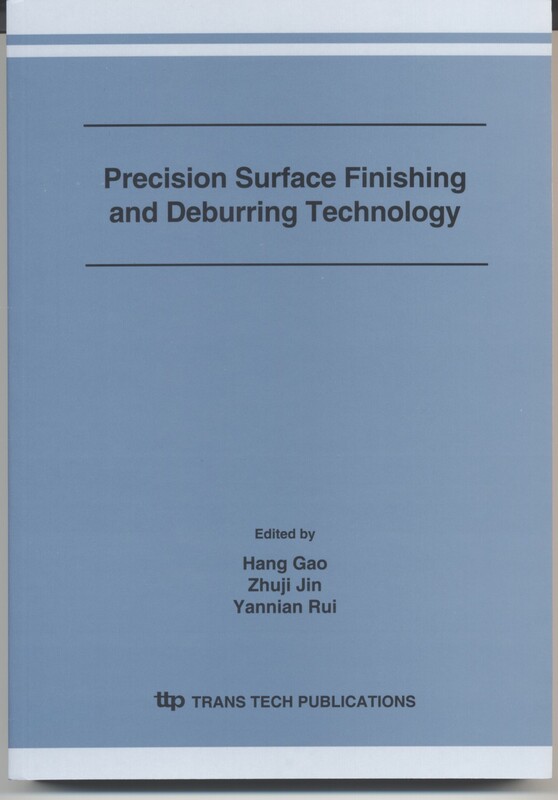 the Abrasives Mall still has copies of Principles of Abrasive Processing. See our review for details of this landmark publication. The 2003-4 Edition of the European Abrasives Directory is now available. The most compete and update directory available any where. Download a brochure with more information. New Book from Trans Tech on Machining of Natural Stone Materials Contains information on superabrasives used in saws and other products. A weblink to E.C. Mitchell maker of special products for grinding, deburring or finising or grove, slots, small holes and much more. There's a new line of high performance bearing race OD grinders available from Service Network Inc, Worcester, MA. Click on "What's New" to see details. Technical literature on Abral., the next generation aluminum oxide abrasive grain. A new link to Mold Finishing.com , a resource for shops specializing in making molds and dies. Schmitt Industries list a new SB-1700 Portable Balancer, a new Ring Balancer for high speed applications. The SB4500 Electronic Controller balances wheels to .02 microns. Schmitt Industries . New bond and diamond pellet wheels for lapping of sapphire and ceramics from GATOR DIAMOND See the article in the current issue of Ceramic Industry Magazine. New grain clusters give 3 to 10 time life on coated abrasive discs and belts VSM Abrasives . Saint Gobain announced that Benoit Bazin is their new Vice President of the Bonded Abrasives division.He will be responsible for the North American businesses that make products under trade names such as Norton, Carborundum, Universal and Winter. Schmitt Industries joins the Abrasives Mall listing its new SB-1700 Portable Balancer, a new Ring Balancer for high speed applications and the SB4500 Electronic Controller, which takes balancing of grinding machines to a new level of .02 microns.Schmitt Industries . Eastwind Diamond Abrasives-- belts, discs, sheets, flexible wheels from a division of Eastwind Lapidary,Inc. Windsor, VT.